This morning, I gave my two-week’s notice at my day job. No, I don’t have anything new lined up, but I expect things will be fine. More time for writing, family, exercise and life. A reduction in income that will not bankrupt us. I’m for it. And more books for your fans! Thank you for eating Top Ramen for us. Amen. I felt like that today. 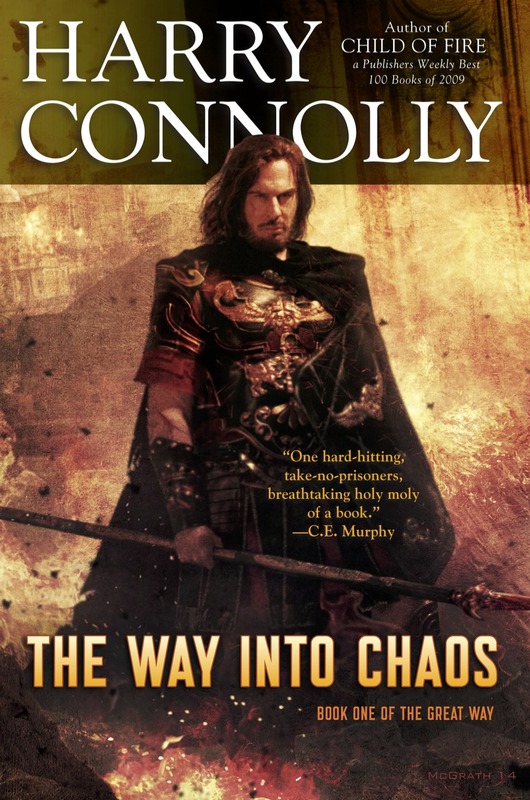 Heading to World Fantasy Con this weekend, I’ll try and squeeze “Have you read Harry Connolly’s…” into every conversation. We have much fancier Dumpster fare than that around here. I’m really wishing I’d taken the gumption to sign up and go this year. Ah well. Have fun, man, and thanks. Congratulations! I eagerly hope that means more books sooner. And you should definitely consider going to World Fantasy 2011 in San Diego. San Diego?? Now that’s an interesting idea. Thanks! Good luck, man. I do not doubt that in a year or two you’ll start wondering why you didn’t do it sooner. A tough decision to make, I imagine, and I salute you for having the fortitude to do so. Thanks. I have my fingers crossed. The toughest thing would have been to stay longer. That is full of so much win. Onwards and upwards, man. Rob Smith’s comment reminded me… I went to World Con in Melbourne a few weeks ago and one of the panels I attended was What can mystery teach science fiction?. The discussion turned to fantasy and the lack of good detective/mystery stories in fantasy. But. I am certain that Harry Connolly was brought up favourably as was China Mieville as examples of how it can be done well. Thanks, shane. I hope you like the next one as well. Just finished up both Child of Fire and Game of Cages this week. Just wanted to post and say I thought they were great, I loved the protagonist and the interplay between him and Annalise, it’s really complex, and I also really enjoyed the story. As an aspiring author myself it’s great to see someone make it, congratulations on doing it full-time now. Thanks, Chris. That’s great to hear. Be sure to let people know. That’s the only way I’ll get a contract for more books. You got it. Reviews a’coming.